Bare shaft tuning is one of the best methods of tuning in my opinion. The goal is to get a bare shaft to group with your fletched arrows. The theory is if everything is perfect (center shot, spine etc.) your arrow shouldn’t need fletching. Let me note that bare shaft tuning isn’t possible with broad heads. Do not shoot a bare shaft with a broad head. 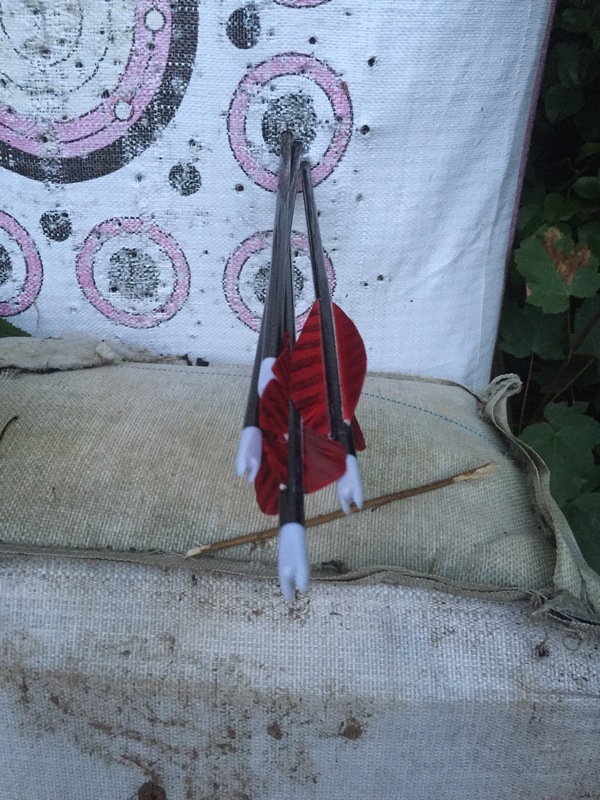 Here is a picture of my Alaska Bowhunting Supply setup shot from 20 yards. Normally I will shoot 3 fletched arrows and 3 bare shafts ;however they were grouping so tight I was afraid of busting a nock. I have never had an arrow group this tight before.